The Ministry of Agriculture and Rural Development has showed determination to streamline the tra fish industry which has suffered consequences from quick and uncontrollable development for the last decade. Tra fish prices have been in a long reduction in the Mekong Delta. Farmers suffer losses and are unaffordable to continue production. Businesses face full of hardship due to low export price and technical barriers from import countries. According to the Seafood Departments in the Mekong Delta's provinces, tra fish farming area reached 4,469 hectares in the delta as of August. Productivity averaged 273 tons per hectare. Eighty seven percent of tra fish farming area and productivity are from An Giang, Dong Thap, Ben Tre Provinces and Can Tho City. One decade ago, tra fish export had many advantages. A lot of tra fish islands sprouted on Hau River with the appearance of several tra fish billionaires. Afterwards so many people from jewelry shopkeepers, duck breeders, real estate enterprises and even officials jumped into the profitable industry. They opened more farms and processing plants. The quick development of tra fish industry has been out of control causing much consequence. Breeders have been unable to sell their fish, forcing the central government to help seeking consumption sources for several times. According to experts, tra fish industry most developed in 2001-2005 and slowed down in 2006-2009. From 2009 to 2013, farming area reduced 0.7 percent per year. The developed phase has gone by and the tra fish industry has entered a recession. Households with limited capital have had to quit farming. Only rich households and large businesses are able to stay in. However most of them are underperforming partly due to high costs. The Ministry of Agriculture and Rural Development are determined to tackle long lasting issues and unleash development of the tra fish industry. The ministry is implementing a Government’s recently issued decree on tra fish farming, processing and export. According to the decree, tra fish farming locations must be reset up. By the end of next year, all farms must meet VietGap quality standards. 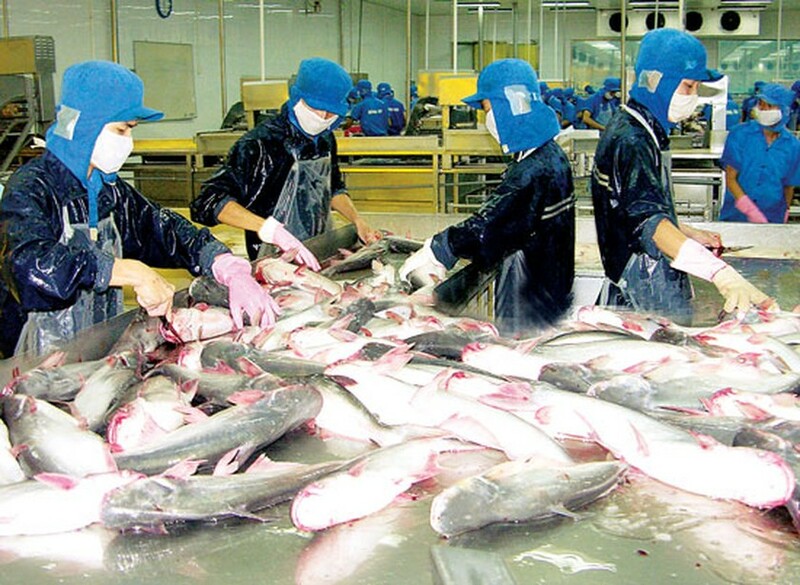 Businesses must register their export contracts with the Vietnam Pangasius Association. They must get the association’s confirmation for customs clearance. Despite of receiving agreement from the fish breeders and local authorities, the decree has faced objection from businesses, saying it lengthens the list of export procedures. At present, they must get quality certificate for their export products from the National Agro, Forestry, Fisheries Quality Assurance Department. They also do other procedures for customs clearance and booking vessels. Businesses have also raised objection against a floor price regulation in the decree. Import markets are in different demand of the fish quality, resulting in different export price and purchasing price too, they said. It is easy to understand why they react like that. Long since, the businesses have decided buying prices and export prices themselves and it is caused unhealthy competitiveness such as selling low quality product or dumping. The Ministry of Agriculture and Rural Development affirmed that they would manage the tra fish industry from sources of breeding fish to farming, processing and exports. All phases must comply with current regulations. Registration with the Pangasius Association is to prevent businesses from paying farmers lower than the floor prices and ensure that processed products are qualified. Unless meeeting this regulation, businesses will not be permitted to export. The regulation also aims to grasp market demand from which the ministry can plan suitable farming scales to protect farmers from undergoing losses due to superfluous supply and tumbled prices. According to Vietnam Customs, tra fish export turnover reached $890 million by mid July, down 2.12 percent from a year ago. 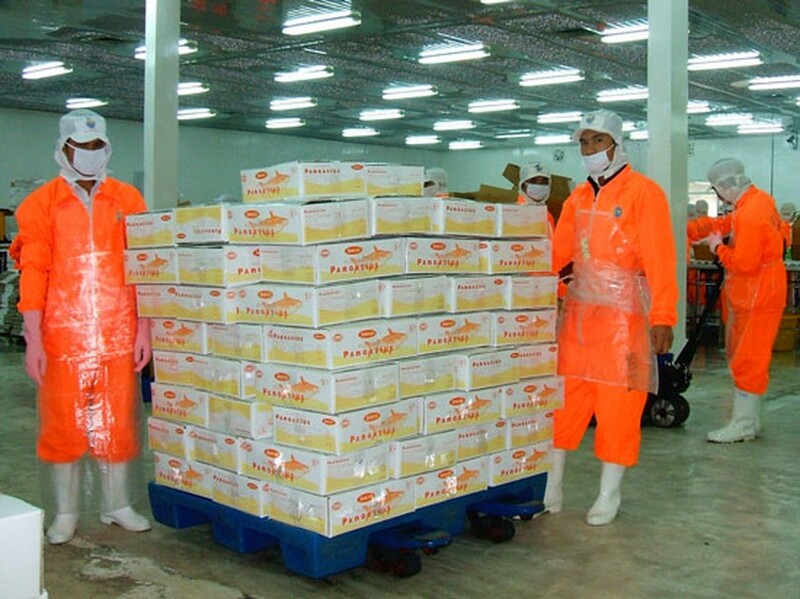 EU becomes the largest importer of Vietnamese tra fish with $189.57 million. At the second position is the US with $163.12 million, a year on year fall of 32 percent. Vietnam exports tra fish products to 137 countries and territories worldwide.